Mark joins Cornerstone as the Director of Facilities. Cornerstone is glad to welcome Mark Randall to the team! Mark joins Cornerstone with over 25 years in the maintenance and real estate industries, most recently serving as Senior Chief Engineer at Cushman and Wakefield. A family man and avid golfer, Mark will keep the facilities team running smoothly. 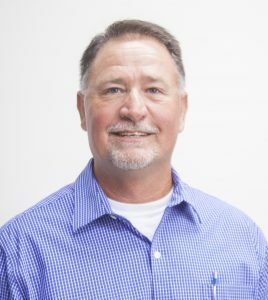 At Cornerstone, Mark will manage a lineup of engineers and supervisors, oversee Cornerstone’s different facilities and directors, and address complex staffing logistics. As Mark oversees staffing operations for Cornerstone, it’s important to him to make sure everyone understands their position and contributes toward an effective and efficient team environment. “With the way that Cornerstone is heading and the talent that’s here, we’re turning the company into something that everyone’s going to want to be a part of,” said Mark. Mark is originally from Indianapolis and has six children—five boys and one girl. He loves spending weekends with his family and hosting cookouts.